"To bring this year’s Lent Series to a close, I’m returning to a work I first heard a few months ago, during Iceland’s Dark Music Days festival. One of the most memorable works from that week in Reykjavík was Lendh, by Canadian composer and cellist Veronique Vaka." "This shift in tone in the opening minutes is part of a larger mode of expression that’s one of the most striking and effective aspects of Lendh. Vaka explores and maintains a beautiful balance of tensions, gently – almost gingerly – arranging and pulling at her material to make it taut, even uncomfortable, yet almost before we’ve even noticed it’s happening everything has begun to relax. This is one of the reasons the music comes to resemble the kind of muscular flexing I spoke of before; it undulates and ripples, inhales and exhales, slowly pulsating not simply in dynamic outline but also in terms of density, mass and clarity, the main factors at the heart of the work’s shifting stresses and pressures." Thank you Simon Cummings (5:4) for writing these beautiful words about Lendh. 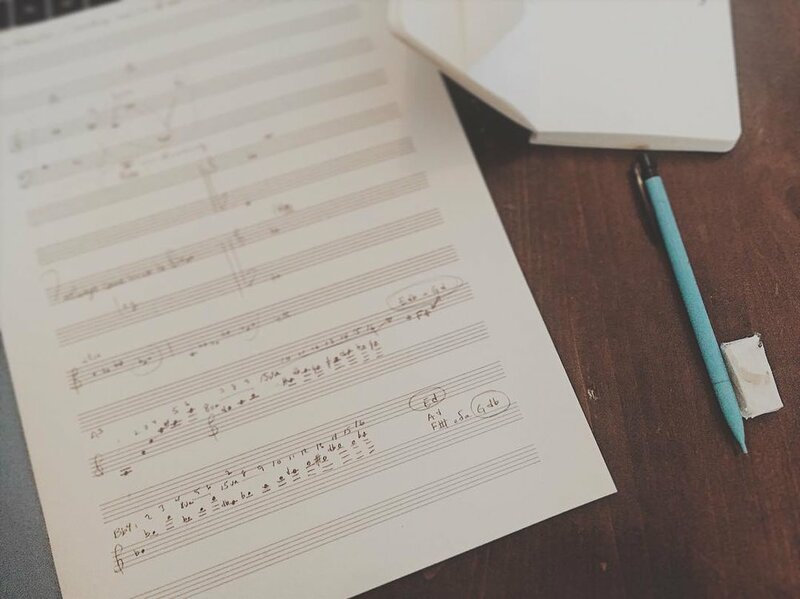 New work to be premiered in the summer of 2019, together with other new pieces by Nordic composers. Fjórmenningarnir í Nordic Affect frumflytja verk eftir Bergrúnu Snæbjörnsdóttur, Báru Gísladóttur, Veronique Vöku og Luong Hue Trinh. Una Sveinbjarnardóttir and Caput Ensemble, performing Sceadu. Here's the live recording of my new orchestra piece 'Rift, performed by Iceland Symphony Orchestra, conducted by Daníel Bjarnason during Myrkir Músíkdagar / Dark Music Days 2018. It starts around minute 25. 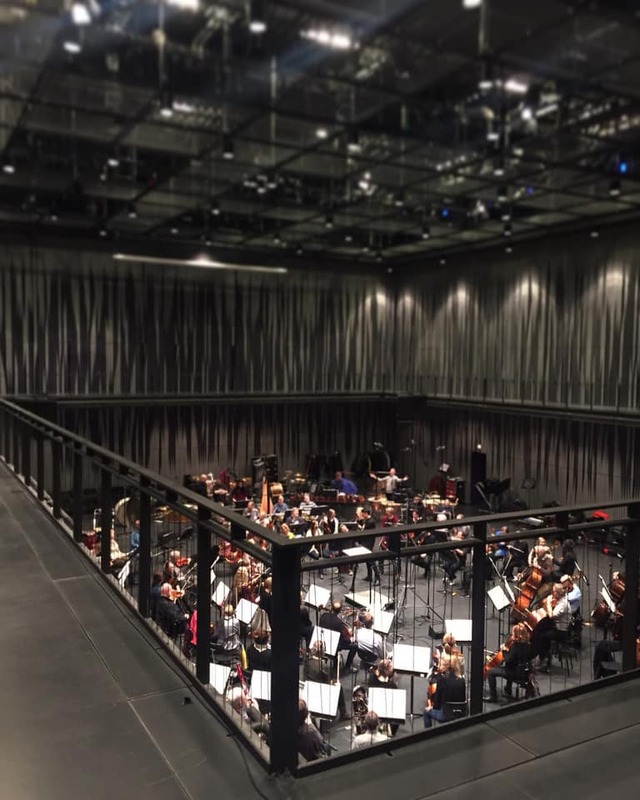 Yrkja workshop with the Iceland Symphony Orchestra and Daníel Bjarnason, working on Veronique Vaka's new work "Rift". Yrkja is a professional development program for composers that Tónverkamiðstöð runs with various collaborators. Yrkja with the Iceland Symphony Orchestra is running for the third time now. Gísli Magnússon and Veronique Vaka will take part in YRKJA III, a mentorship with the Icelandic Symphony Orchestra and Daníel Bjarnason. Their works will be premiered at Dark Music Days, 2018.